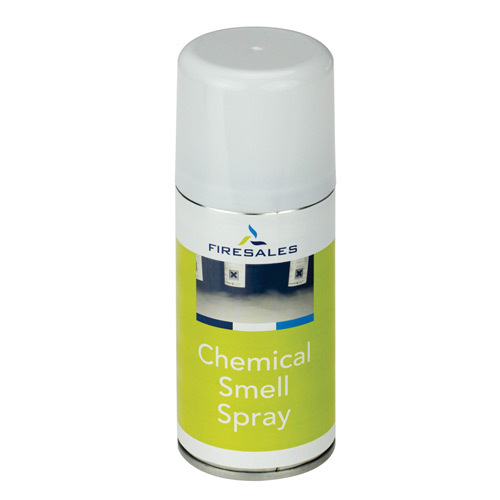 The FireSales Chemical Smell Spray is a spray can that contains a chemical scent. The spray is comparable to an air freshener and has a large effect on the reality level of an exercise. Scent is often the first sign people notice about a possible fire. The sense of smell is stimulated and immediately makes a student focus. Scent also often plays an important role in localising an accident. Use it for example during an exercise involving a gas leak or a chemical leak. Spray the stage location in advance and also some on the road there.